There’s been a lot of talk about how to achieve a national reconciliation. I believe this is the objective that most Cubans, whether living in Cuba or abroad, want. But, there are groups that oppose this, and each one has its own reasons that should be analyzed and considered. Some may be valid while others can be questioned, but ultimately these are their opinions and no one should question their right to express them freely. To think this way is very human, because the Cuban people have suffered and continue to suffer, and that makes it really difficult to forget. However, we have to agree that the only entity capable of pursuing justice is an independent judicial branch, with proper courts headed by independent and capable judges. Today, these courts are nonexistent in Cuba. Therefore, it is unrealistic to seek justice at the present time. With time, Cuba will have an autonomous judiciary system, fully independent from the other branches of government. To take justice into our own hands would be revenge. That’s something we cannot permit if we want to set the foundation for a democratic Cuba, where all abide by the rule of law, and where no one is deprived of due process. 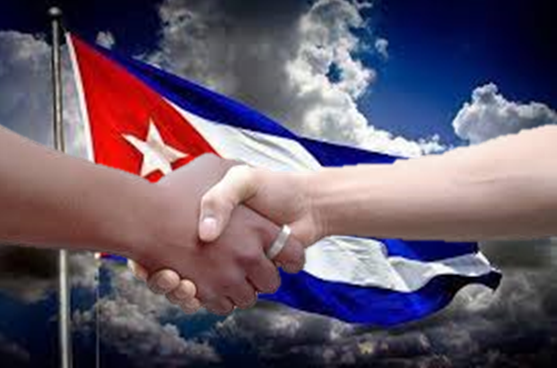 It is precisely for this reason that some Cubans are not willing to negotiate any agreement leading to reconciliation. On the other hand, those who work for the Cuban government cannot express their opinions at will and are compelled to accept and support the point of view of “Number One,” who is the only one who counts in Cuba. They have to pretend to agree with him if they are to retain the status that they have achieved over the years. Most likely, many also want change and reconciliation, but they cannot express this. Time’s inexorable march continues, and soon a new generation of Cubans that was born much after the revolution will be, for the first time, in leadership positions. At that time we will know what they think, not before. What are the ideas of these Cubans who grew up in post-revolutionary Cuba, who suffered the scarcities and the so-called Special Period? Who had a firsthand view of the processes that caused the collapse of the Soviet Union and are aware of the changes that have been taking place in China, at the same time have seen many of their friends and family leave Cuba and achieve success and prosperity abroad? Who have had the chance to travel abroad and thus can compare how people live in Latin American countries with the way they live in Cuba? They know that Cuba was the jewel of Latin America because every day they see the ruins of what once was the most beautiful city in the Caribbean. They also know that reconciliation is essential, because we cannot continue to live with the same problems for years to come, nor can we continue to maintain an artificial division of two Cubas: the island and abroad. We have to bring an end to the separation of families, to children living apart from their parents, and to those who cannot return to see their relatives or parents. We need to stop criticizing those who can visit their relatives now, thanks to changes in immigration laws. It is a positive thing that we can visit our loved ones, which we previously could not do! There are many who say they will not visit Cuba because they don’t want to give money to the government. It is true that when you go to Cuba, whether you like it or not, the government gets some money. But a mother’s love, a child’s love or the love of a relative left behind is worth much more than anything else. Additionally, to say that those who travel to Cuba are helping to prolong the survival of communism in Cuba is a fallacy. We have spent years saying that Cuba is in crisis and that the government cannot resist a minute more. We have spent years saying that the government is going to fall, but the government goes on and on because a totalitarian regime does not fall due to hunger or due to a bad economic situation. It is too strong and able to resist confrontations or popular uprisings. Therefore, the only possibility is a reconciliation and a change, so we can talk to each other and get a consensus on all the economic, legal, social and political changes that Cuba needs in order to become a prosperous country, and to remove once and for all the systematic violations of human rights that hurt us so much. Also, we need to bring an end to all acts of repudiation. The government cannot continue to govern by pounding and beating people. Reconciliation and change must go side by side. There can be no reconciliation unless there is a change and this change must happen both in Cuba and abroad. If Cuba is already in the process of normalizing its relations with the United States, is it not possible that we can also normalize the relations between us? I am certain that we can. I support change, and I invite everyone to jump on the reconciliation train. I hope you come aboard; every day there are more and more of us.